Hi friends! Halloween is one of my favorite holidays, so I am absolutely thrilled with the new The Witching Hour collection! 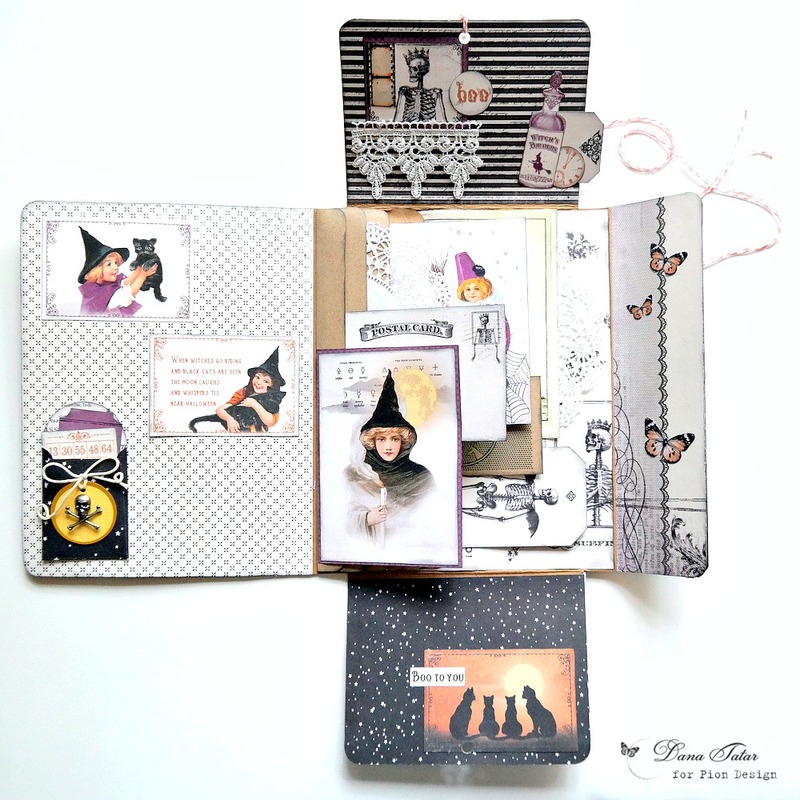 I have a much higher success rate of finishing mini albums when I complete the majority of the work before the event or holiday. 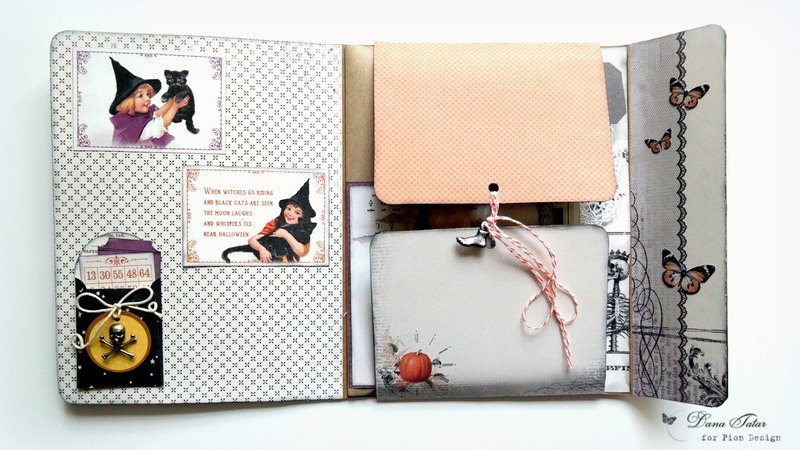 I’m all set to document my Halloween festivities with this altered folio album that measures approximately 7″ x 9″ and is portable and interactive for displaying memorabilia and photos. 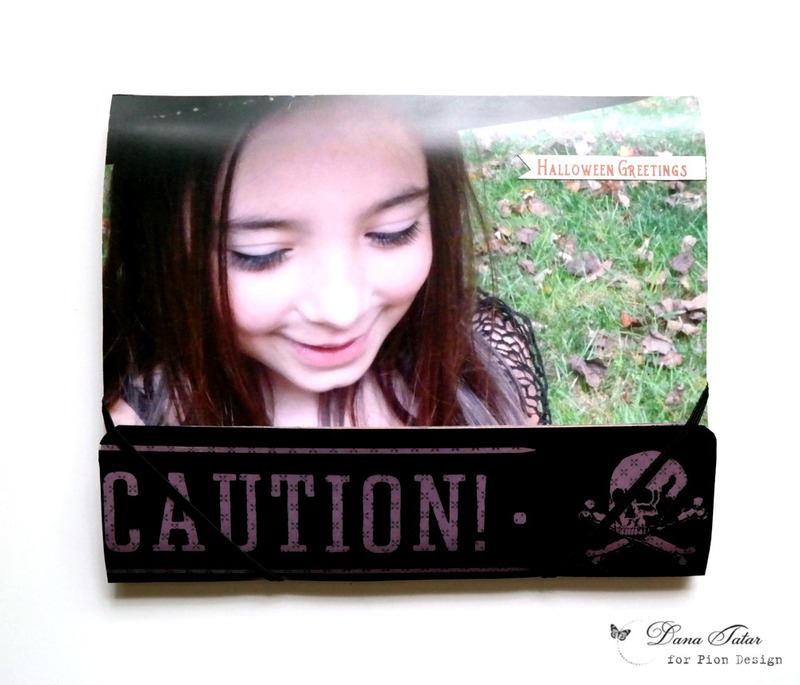 I used a photo of my daughter that I cut from an old photo calendar for the cover. I covered the inside of the folio with patterned paper, images, and a pocket full of tags. I filled the cascading tabs with more images and tags. There are so many to choose from in this line! I’m all set to quickly add some photos and journaling.